Real GDP for the third quarter grew at an annual rate of 2.1 percent according to the Bureau of Economic Analysis’s second estimate. GDP was upwardly revised from the first estimate of 1.5 percent growth, but is down from the growth rate of 3.9 percent during the second quarter. The third quarter’s slower growth partly reflected a downturn in private inventory investment as well as decelerations in exports. 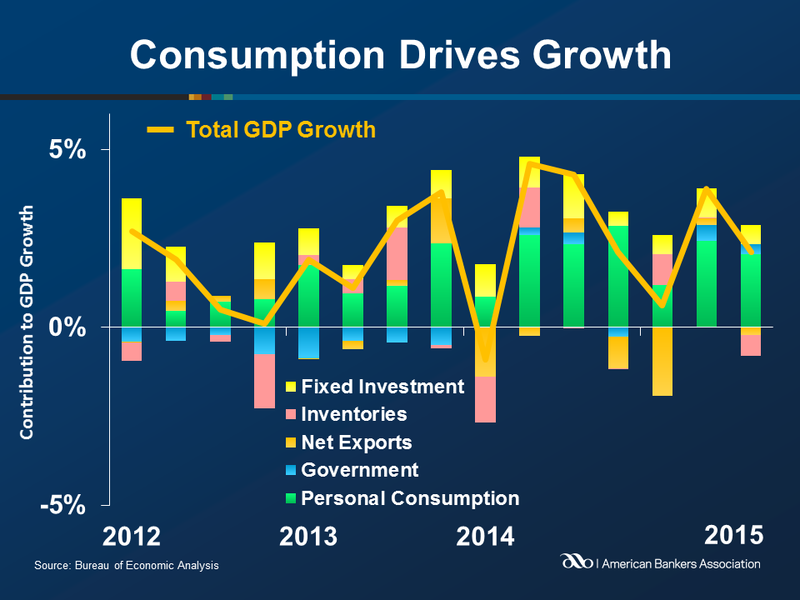 Consumption was the largest contributor to GDP, accounting for 2.05 percent of GDP growth, down from 2.42 percent in the second quarter, as spending growth for both goods and services slowed. Inventories were the largest drag on GDP growth, subtracting 0.59 percent from growth during the quarter, as non-farm inventories fell by $25.9 billion dollars. 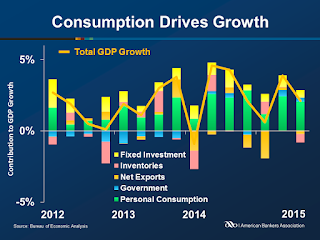 Net exports were also a drag, subtracting 0.22 percent, as imports increased. Government expenditures contributed 0.29 percent to growth, down from 0.46 percent last quarter, as growth in both national defense and state and local spending fell from the previous quarter.